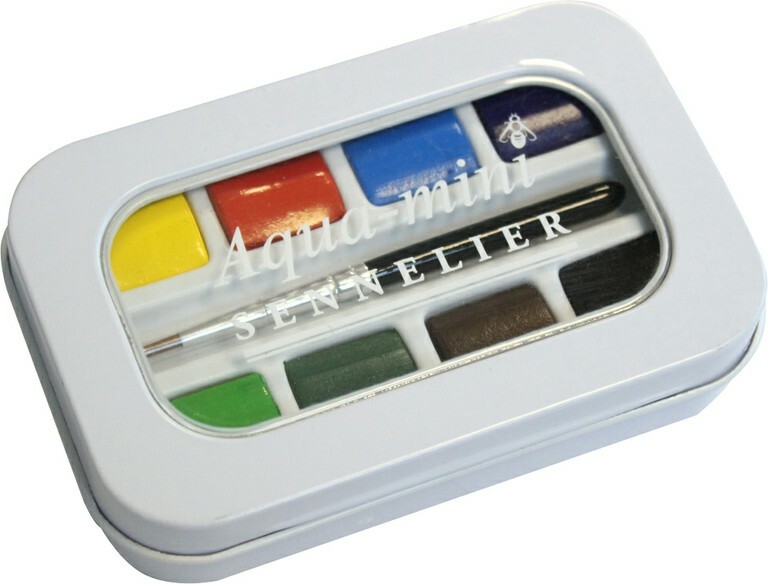 Watercolors Made in France using traditional methods have produced this honey-based watercolor in an amazing travel set of 8 half pans in a lightweight metal box. 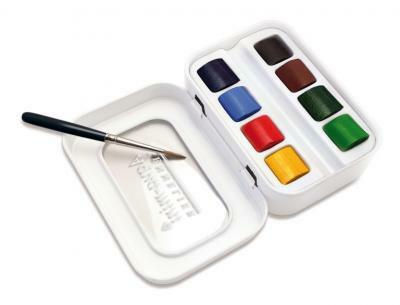 The paint box contains eight half pans as well as a small watercolour brush. The little metal tin case has a hinged lid that can be used as a mixing area. The size of the tin box is 9.5cm x 6cm x 2cm. Click the 'About the Colours' tab above to find out more about the lightfastness and transparency of each colour in this set.